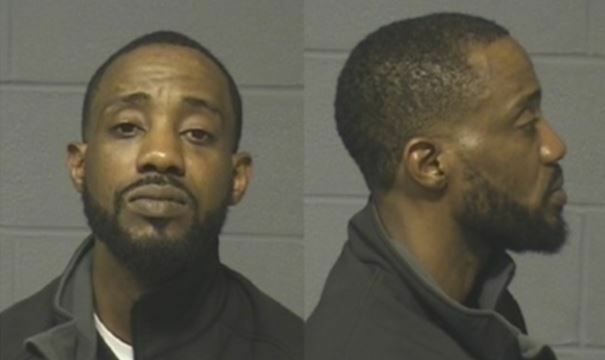 HARTFORD, Conn. -- (WTIC) -- A Hartford man accused of breaking into a house and assaulting his fiancée, appeared in court Monday. Police said around 5:30 p.m. Sunday, officers were called to the home. The juvenile caller stated her mother was being assaulted and strangled by her boyfriend, who had a knife. Police said two juveniles hid in the bathroom and called for police. When officers arrived, the suspect ran from officers. After a brief struggle, he was arrested. Police are identifying the suspect as John Jenkins, 36, of Hartford. Jenkins appeared in court Monday afternoon. The victim is Jenkins’ fiancée. She said Jenkins did not get physical with her and called it a "misunderstanding". The judge set Jenkins’ bail to $350,000 and placed a protective order on behalf of the victim. “He is not guilty. He is not doing anything the court is alleging. And hopefully the judge will see he is not guilty and that he is a hardworking man. He is employed he is the provider. If he is in jail, that’s not doing the family any good right now,” said Jenkins' fiancée. His fiancée adds that Jenkins did not break into the home, and they share a residence. Jenkins was charged with home invasion, strangulation, assault, risk of injury, threatening, interfering with police, disorderly conduct, possession of a dangerous weapon, and criminal attempted robbery. His fiancée wants charges against him dropped.